Briefly about the fascinating story of the appointment of Pavel Gubarev as Mayor of Yasinovataya and of organized protests against him. The plot is as follows. Zakharchenko signed a decree appointing Gubarev as mayor of Yasinovataya to replace the acting mayor. On arrival in Yasinovataya, Gubarev was met with organized protests because supposedly the previous mayor was good and the new one is bad. The rally was promoted by structures associated with Khodakovsky. Gubarev himself outlined things as follows. On 26 January, 2016, the head of the Donetsk People’s Republic offered me the post of head of the Yasinovataya district (including the town of Yasinovataya). I was even given the priority task, which the previous authorities had refused to carry out. In Yasinovataya the new oligarchy had organized a scheme of corruption related to the Yasinovataya railway, and to gas consumption and associated payments. By my nature, I like problems of this kind. Especially when the case involves the oligarchs. I was also entrusted with the task of reducing social tensions in the town and starting full-scale restoration works on destroyed infrastructure objects, particularly those of social value. I consider it unjust that some people in Yasinovataya are maintaining trade relations with hostile Ukraine, enriching themselves at the expense of the people and enriching our enemies as well. Is this what we fought for when we started the Russian Spring? Some of my friends at once advised me that it was a dangerous assignment since Yasinovataya is supposedly a “patrimony” of Khodakovsky. “You think I don’t know?” was my answer. In general, rejecting the appointment seemed a sign of weakness to me, so I accepted it. The People’s Governor giving in to Khodakovsky is not exactly “comme il faut”. All the more so since we have a People’s Republic, not neo-feudalism. Well, at least according to the Constitution. On January 28, 2016, by the order of A. Zakharchenko, I was appointed as head of the new administrative unit—Yasinovataya district and surrounding villages and settlements (the major part of the district is under Ukrainian occupation). I learned that the decree was signed (there was a theoretical possibility that he would not sign), on Monday, February 1. The next day should have been my presentation in Yasinovataya as head of the district. 1. Gubarev did not fight. 2. Gubarev spent the whole war in Russia. 3. Gubarev is not from Yasinovataya. I am not going to refute these premises, because basically everybody knows that they do not correspond to reality. Besides, I am not from Yasinovataya. Let us take a look at the biography of the former mayor, Yuri Yanenko. His roots are in the Don area. Before the war in the Donbass he worked in the organs of the Internal Affairs department of Ukraine. In particular, in September 2011, he was appointed as a deputy chief of the department coordinating law-enforcement authorities of the Mariupol Municipal Committee for preventing and combating corruption. In July 2014 he defected to the DPR. I am a native of the Donbass. Seventeen of my thirty-two years I lived in Severodonetsk (now the administrative centre of the occupied part of the LPR), and fifteen in Donetsk (since 2000). Nevertheless, in my life, there are several episodes that emotionally connect me to Yasinovataya. But that does not concern us right now. We were easily able to find out who were the organizers of this provocation (it was not very difficult as you might imagine). Ordinary participants of the rally had been handed out 500 roubles each. “Engagé” activists were paid more. But the core of the meeting was made up of people close to the concerned party who does not want to give up power. They shouted the most loudly. You know, I am prepared to go forward until a problem is successfully solved. From the earliest days, we have designated the oligarchs as our enemies. And today, through the gas and transport fraud in Yasinovataya a new oligarchy is being created, which is using old and outdated dirty political technologies to cover up their black business. I do not even want to talk about what has been happening in Yasinovataya during the last year. Who was selling, what was taken and where? Who received fabulous profits from this? Have some individuals begun to think again that people understand nothing? They do understand. They understand everything. While on the way to Donetsk, I was informed that the appointment had not been cancelled by anyone. I fear nothing since March 1, 2014. I will return to work. To that paid provocation we will respond with people’s rallies; to empty accusations—with arguments; to threats—with a firm stance. I am not used to caving in. All the more so when the whole issue is fraud, corruption and money! Dear residents of the Yasinovataya area, working on your behalf is a great honour for me. Thanks to the will of fate I was given this honour. Together, we will overcome the shackles of the oligarchy, bureaucracy and corruption. See you soon at my workplace. My door will always be open for you. All TPS operators have largely coinciding routes of coal export. In early autumn, Centrenergo and Donbassenergo used the railway section Yasinovataya-Skotovata, which has long been the only link between Ukraine and the occupied territories. This same route is also part of the supply link for DTEK. Donbassenergo also uses the sections Sentyanovka –Shipilovo and Panteleymonovka-Nikitovka-Artemovsk-2, while DTEK uses Kondrashevska-Ogorodniy, Sentyanovka-Shipilovo and Nikitovka-Mayorska. At the same time at DTEK, several of whose enterprises happened to be behind the demarcation line, it was confirmed that they are working on the restoration of railways. They even offer their own version of coal export. Thus, according to Maxim Timchenko, CEO of DTEK, it was their idea to restore the section Nikitovka-Mayorska, which will relieve the Yasinovataya-Skotovata node. The situation is exacerbated by the inability to deliver the required volumes of coal due to the destruction of infrastructure. After the destruction of the Debaltsevo junctions, the main node of the coal streams go through Yasinovataya, the capacity of which is not sufficient for the timely supply of TPS. According to the separatists, in March-April about 380,000 tons of coal was exported from the DPR to Ukraine, while in May 500,000 tons is expected to be supplied. However, in spite of the supply from the ATO zone and the end of the heating season, Ukraine continues to experience a deficit of its own electricity supplies. To cover the shortage of capacity in the power system, according to the Energy Ministry, Ukraine purchased in April 143 million kWh of electricity from Russia. Actually it is not difficult to notice that Yasinovataya remains one of the central points whose control makes it possible to influence the flows of coal, in which, in addition to government bodies on both sides of the front line, the same Akhmetov was concerned. Whoever was behind the appointment of Pavel Gubarev in place of the current mayor, this change of administration means that the issue concerns control of the flows passing through Yasinovataya. Since Gubarev is obviously not very “friendly” with Khodakovsky and not at all friendly with Akhmetov—largely because Pavel’s initiative broke Akhmetov’s plans to organise in the Donbass, in place of a people’s uprising, ‘managed’ protests that the local oligarchs would use to pressure the junta for concessions—this reshuffle means that a feeding trough is being withdrawn from Akhmetov. If successful, the appointment of Gubarev can be interpreted as a weakening of the patrons of Khodakovsky (hence his attempts to develop media activity with the channel “Dialog” and with other “publicity”) and his possible departure from the coal business. Why is this happening? 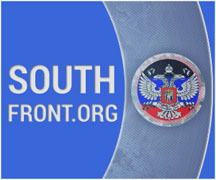 I have two versions: it is either an escalation of the conflict between Zakharchenko and Khodakovsky (in fact it was a rally against Zakharchenko’s decision, since Gubarev did not appoint himself as mayor of Yasinovataya), or an indirect consequence of the Lyamin case, when, after the scandal reached the high Moscow offices, the curators became concerned about matters of the coal trade with the junta, as in the LPR alone, according to the LPR’s MGB (State Security Ministry), more than 90% of the payments was stolen. The scale of the theft in the DPR was not adduced, but it appears that it is not small either. In general, we shall see who will win. Sad to see that the maladies of Ukrainian society cannot be overcome by the commitment of Novorussian activists. Did Alexey Mozgovoi die in vain? It is ridiculous anyone in Donbass would not known who Gubarev is or what he has done! He was the original leader of the DPR and was a pro Russian activist before 2014. He was arrested early in the Russian Spring and exchanged for Junta prisoners. He was cheered in Donetsk by those who wanted him to lead. He has worn the DPR uniform and fought battles. He survived an assassination attempt in the fall of 2014. He has written a book about Novorossiya, and was one of the main leaders of the Novorossiya movement before it was crushed by the Kremlin in favor of “Minsk” and deciding it was better to please ‘western partners’ than the Russians of Donbass who had fought for freedom. Gubarev is a true hero and perhaps the last strong pro Novorossiya leader left alive in Donbass, since the Kremlin has systematically rubbed out all the rest. You will not be able to stop trade. By dint of hard work, intelligence or cunning some people will get ahead – the Quran says that those who work hard and those with skills and intelligence will by no means accept the same rewards as the dull and indolent. The state capitalists (marxist socialists) and the corporate capitalists (left and right wing marxists) are all slavering at the thought of gaining control of the fiat currency system – with this prize they won’t have to build planes, mine coal, smelt metals, grow crops, distribute drugs, or trade – they can sit back and cream off a bit of every transaction as they slowly (or quickly) inflate and cunningly withdraw high denomination notes to force everyone to use electronic currency: where I live we are already at the point where a one ounce gold coin will easily fit in a wallet, but the equivalent in notes is a wad 11mm thick (not thin!) which will not fit by itself let alone with even a minimum number of cards (IC, driver’s licence,debit and credit cards, …). Ad electronic banking hasn’t and will not stop criminality – it will just facilitate the bankers getting their “share”. Rather than trying to stop trade, it would be better to make it fairer by cutting out the cunning illegality of fiat, and as for enemies – Banderastan has enemies but, in essence, does Novorossiya? Correction: 11 mm –> 6 mm but still inconvenient.